Modular homes are typically extensively customizable homes constructed to meet or exceed the same building codes as site-built homes - with requirements set forth by state and local governments for your specific building locality. Our Modular homes are built ‘inside’ climate controlled facilities using the latest homebuilding technologies and skilled craftsman who perform their particular job specialty day-in and day-out. Because our Modular homes are built ‘inside’ dedicated facilities the latest technologies, precision equipment and powerful tools can be brought together in one climate controlled place and used for each home without setting-up and tearing-down in between homes. Our Modular homes are inspected for quality throughout the building process by internal Quality Control Specialists and dedicated inspectors employed by independent inspection agencies. Combining all of this with quality graded lumber, name-brand products and materials throughout and highly skilled craftsman produces some of the highest quality, highest value and most flexible homes available – Browse this site, tour our sample homes and we’ll prove it! Our Modular homes are available in virtually limitless shapes and sizes. Our standard Modular home floor plans include single-level (Ranch Style), two-level (Two Story), Cape Cod, Split-Level, Bi-Level, T-Ranch, L-Ranch, T & L Cape Cod and Two Story and many combinations of the above. Whether it’s 900 sq. ft. or 10,000+ sq. ft. we can custom build it! As a system-built homebuilder, Pennwest can take advantage of better equipment, a controlled climate, daily quality control, and dedicated, proven craftsmen. Our craftsmen build homes both by hand and with sophisticated tools, precision jigs, and the latest technology - much of which is not available to traditional builder. Read about our construction process. By building a home 'inside' rather than 'outside,' Pennwest can help eliminate climate problems, an especially important issue in the Northeast. Pennwest can build consistently, year-round, without delays caused by weather issues. By building homes inside, Pennwest can also avoid many other climate-related lumber and material issues. By reducing delays in construction, our homeowners can move into their home faster. 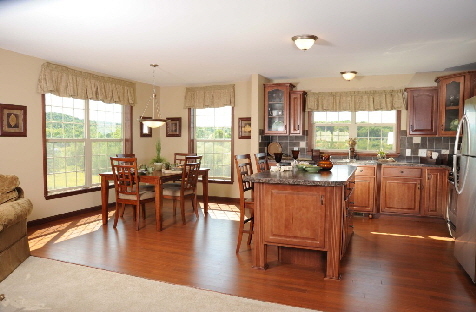 Quality is a key reason why people buy Pennwest homes built by Patriot Home Sales. 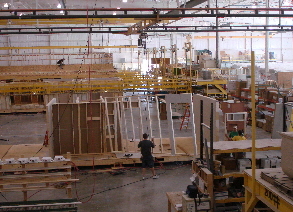 A dedicated quality control team inspects homes daily throughout the construction process in the manufacturing facility. All of our homes are built to state and local building codes. Independent third-party inspection agencies provide another level of quality control, inspecting and approving our homes while they are being built. As an affiliate of The Commodore Corporation, Pennwest Homes can draw upon the buying power of one of the largest homebuilders in the northeast, mid-Atlantic, and Midwest. Privately-owned and family-managed, The Commodore Corporation has roots from 1952. That purchasing power is just one of the advantages we pass along to you. Great standard features, unmatched construction processes, and custom or standard designs are a few reasons why Pennwest builds a better home. Our unmatched standard features make Pennwest Homes the best value in the market. Pennwest will use the most modern technology and construction processes in our state-of-the art facility to build your home. Your home will be built in a well-lit, dry, controlled environment. Neither the workers nor the homes are exposed to bad weather. Floors, walls, and roof are built flat, stong, and square, and the home moves literally on a bed of air. Placed on a specialized carrier for transportation, your home will arrive at the building site and be placed on the foundation. Finishing work will be completed by your authorized local builder. Pennwest is committed to building quality homes at an affordable price. 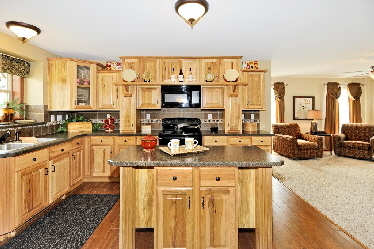 Your Pennwest home will be designed, and can be customized, to meet your family's needs. In addition, your home will be built with high quality name-brand materials. Our commitment is to provide you a lifetime of carefree living in the Pennwest home of your dreams. See Why It’s Better Built Inside!! !